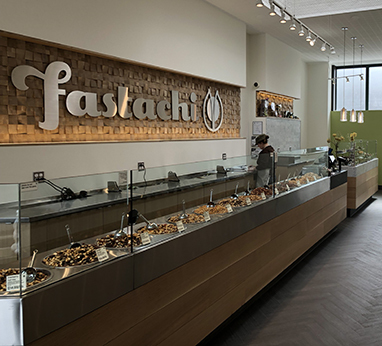 You can now place your Fastachi order online and pick it up in the store. Simply choose the Store Pick-Up shipping method during checkout and we'll have your order ready and waiting at the time and store you select. 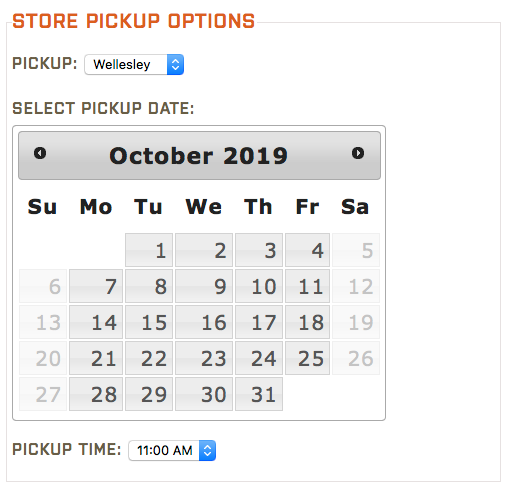 Simply select Store Pickup, fill in the store, date and time as shown, and submit your order. Easy as that!